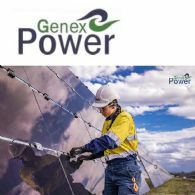 Genex Power Limited (ASX:GNX) is pleased to provide shareholders with this latest update regarding the construction program for the Company&apos;s Phase One 50MW Kidston Solar Project. 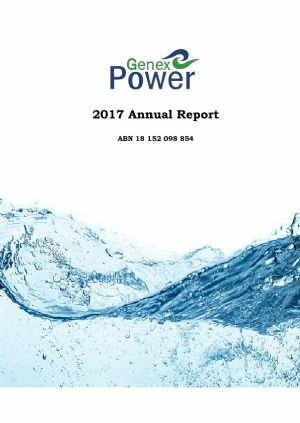 For the year ended 30 June 2017, Genex Power Limited (ASX:GNX) (Genex, Company or Consolidated Entity) incurred an after tax loss of $6.48 million. The majority of expenditure was incurred on the development of KS1 and the PSHP. 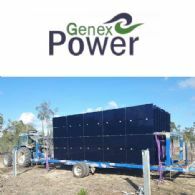 Genex Power Limited (ASX:GNX) (Genex or Company) is pleased to advise that Queensland&apos;s Department of Energy and Water Supply (DEWS) has issued Genex&apos;s wholly owned subsidiary, Genex (Solar) Pty Ltd, a Generation Authority for the 50 MW Kidston Solar Stage 1 (KS1). 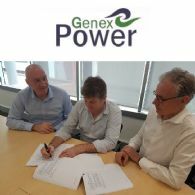 Genex Power Limited (ASX:GNX) is pleased to advise that it has entered into a Binding Heads of Agreement with Powerlink Queensland to progress a range of key activities which are critical to the connection of Genex&apos;s Stage 2 Kidston Hydro-Solar Project to the Queensland transmission network. 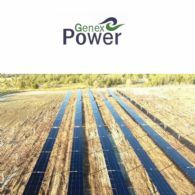 Genex Power Ltd (ASX:GNX) is pleased to provide shareholders with this latest update regarding the construction program for the Company&apos;s Phase One 50MW Kidston Solar Project. 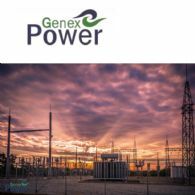 Genex Power Ltd (ASX:GNX) advises that it has received the consent of the Australian Securities and Investments Commission for a change in auditor from William Buck to Ernst & Young. 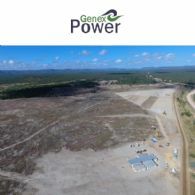 Genex Power Limited (ASX:GNX) is pleased to advise that it has received approval from the Northern Australia Infrastructure Facility to proceed to the full due diligence phase for its Stage 2 large-scale solar and hydro pumped storage projects at Kidston in North Queensland. 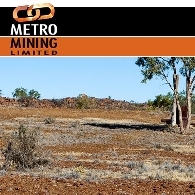 This follows the strategic assessment phase, which involved preliminary and assessment stakeholder consultation. 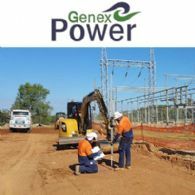 Genex Power Ltd (ASX:GNX) is pleased to advise that the Hon. 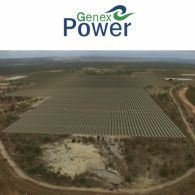 Dr Anthony Lynham, Minister for State Development in Queensland, has made two highly significant declarations in relation to Genex&apos;s Kidston renewable energy project in North Queensland. 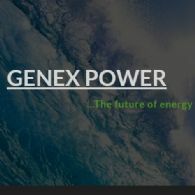 Genex Power Ltd (ASX:GNX) welcomes the recommendations contained within the report commissioned by the Federal and State Energy Ministers by Dr Alan Finkel, Australia&apos;s Chief Scientist, into a review of the National Electricity Market rules which was presented to the Prime Minister and State Premiers on Friday in Hobart. 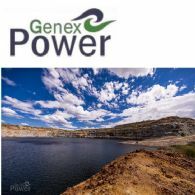 Genex Power Ltd (ASX:GNX) welcomes the announcement from the Hon. 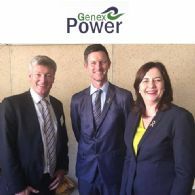 Annastacia Palasczcuk, Queensland State Premier, in relation to the development of transmission infrastructure in North Queensland to unlock up to 2000MW of renewable projects in the region. 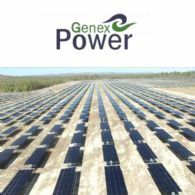 Genex Power Limited (ASX:GNX) is pleased to advise that the construction program for Phase One 50MW Kidston Solar Project remains on track. 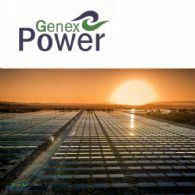 Genex Power Ltd (ASX:GNX) is pleased to provide the Company&apos;s latest presentation at Hong Kong Roadshow. 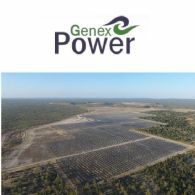 Following Financial Close of the Phase One 50MW Kidston Solar Project (KSP1 or Project), Genex Power Limited (ASX:GNX) is pleased to advise that the construction program is well underway and remains on track. 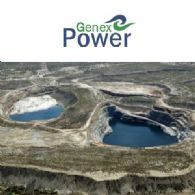 The Directors present their report, together with the financial statements, of Genex Power Limited (ASX:GNX) consisting of Genex Power Limited and the entities it controlled at the end of, or during, the six month period ended 31 December 2016. 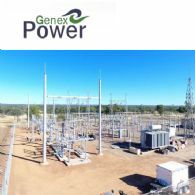 Genex Power Ltd (ASX:GNX) welcomes the Joint Media Release today from the office of The Hon. 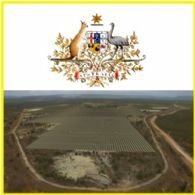 Malcolm Turnbull MP Prime Minister and The Hon. 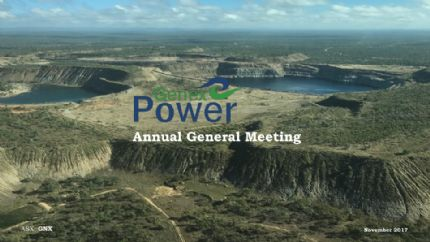 Josh Frydenberg MP Minister for the Environment and Energy. 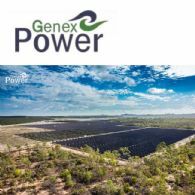 Genex Power Limited (ASX:GNX) is pleased to announce that it has successfully achieved Financial Close for its Kidston Solar Project Phase One 50MW. 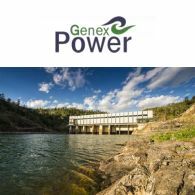 Genex Power Limited (ASX:GNX) is pleased to announce the completion of the Kidston Pumped Storage Hydro Project (PSHP or Project) Technical Feasibility Study (TFS). 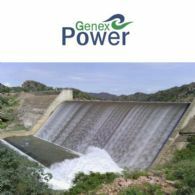 The TFS process was managed by specialist power and water consulting firm, Entura, in conjunction with project partner, HydroChina.